Our elder law staff address the legal needs specific to those over age 60 through training and technical assistance to legal aid staff, other service providers including Long-term Care Ombudsmen, community education about elder law issues, administrative and legislative advocacy and advice and direct representation in very limited areas. Together with the Virginia Department of the Aging (VDA) and the Office of the State Long Term Care Ombudsman Program, we are continually working to improve and enhance the delivery of legal services to the elderly throughout the state of Virginia. 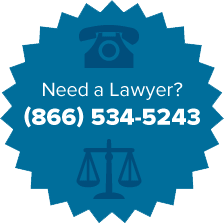 We offer limited advice through the Statewide Senior Legal Helpline, and provide information and guidance on nursing home and assisted living issues, Medicaid eligibility and planning, guardianship and similar arrangements such as powers of attorney,medical direcives, and living wills, elder abuse, neglect and financial exploitation, and social security. We provide training and technical assistance to legal services, long term care ombudsmen, private bar attorneys, and other service providers about long term care and other elder law issues.